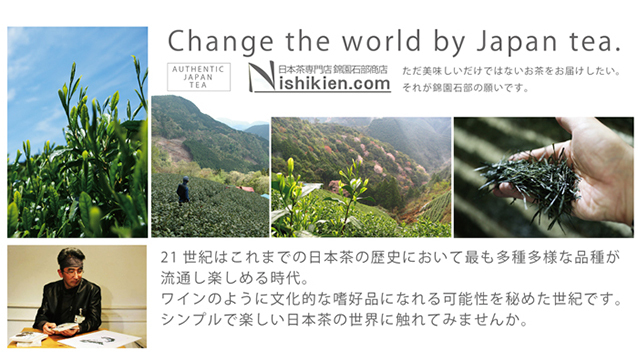 Let’s create a new Japan tea culture together.Change the world by Japan tea. The 21st century will prove to be a truly exciting time for tea. We have a wider variety of teas than ever before. And we will be able to savour their flavours and aromas just like wine. Japan tea is simple yet sophisticated. Let’s create a new Japan tea culture together.